Kevin Johnson, CB, Wake Forest. The 6’1″ 188 pound cornerback continues to move up draft boards as coaches and scouts watch more film of him. Possesses excellent man to man cover skills, and is not afraid to make a break on the football. Thin frame could be a problem in run support but in college he showed he was a sound wrap up tackler. 6’3″, 267. Pass rusher is sorely needed. Has the burst to be a dominant outside rusher. Odigizuwa is moving up draft boards also because of his ability to stop the run, and his impressive senior bowl. Two hip surgeries are a concern but he did not miss a game last season. Should fit into a rotation early on with Aruthur Moats, James Harrison, and Jarvis Jones. 6’3″, 218. Has the size and skils to fill a void at safety with Troy Polamalu retiring. Can play in the box and cover in man and zone coverage as well. More physicality is needed from him, but he will be an excellent special teams player right off the bat. 6’0″, 201. Great athlete and size. Has very good ball skills and has played against elite competition. Will provide more youth to the secondary but will be a bit of a project early on. Press coverage skills need some work. Great against run support and competitive on jump balls. Shaw also has the skill set to play safety as well. 6’4″, 282. Depth is needed now that “the Beard” has retired. Barnes has pash rush potential and excellent length. Plays under control and has played some coverage as well. Barnes was not a full time starter so he should fit in well in a rotation. Potential starter down the road. Great size at 6’5″, 321, and plays with great energy. Has a great rip move as a pass rusher, and moves well down the line of scrimmage and could possibly develop into a key backup or more. Needs to add strength, develop his use of hands, and a year on the practice squad won’t hurt. At 6’3″, 248, Saxton has the athleticism to be used instantly on goal line situations. Needs major work with his blocking, but has the skill to be flexed out wide. Has a chance to compete with Rob Blanchflower for the number three tight end spot. 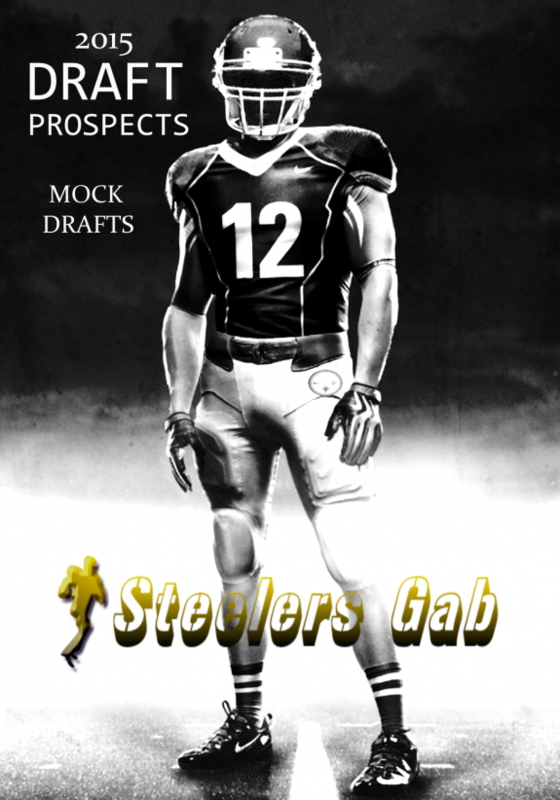 Be the first to comment on "Steelers Mock Draft 2.0"